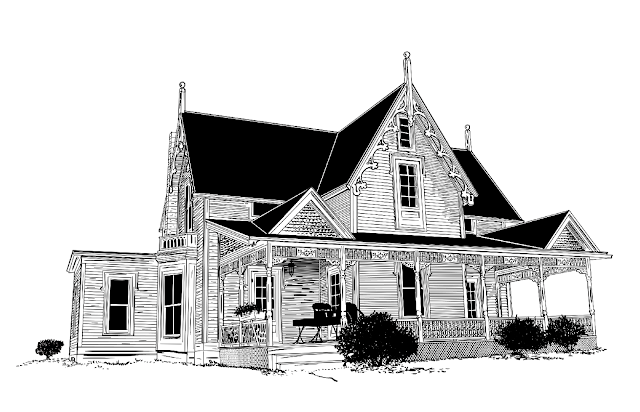 A drawing I just completed for the proud owner of this lovely old house. Ink on Paper or is it done on the Computer? This was hand-drawn on a computer using a tablet. I usually make plates and then print them letterpress.